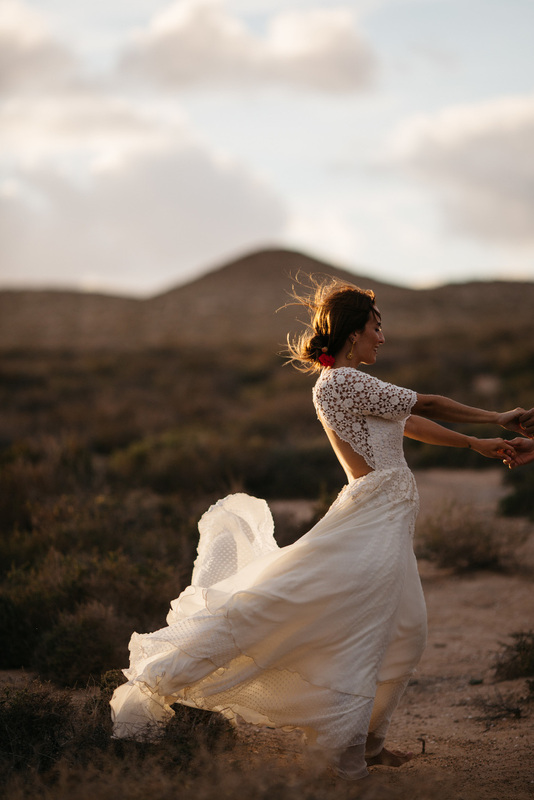 Eloping isn’t for everyone, but there are many great reasons to consider eloping. It doesn’t have to mean secretly running off together and surprising everyone later with the news. Elopements can be a memorable way to have an intimate, meaningful ceremony with a few of your closest loved ones. Soon I will be writing a blog series on Reinventing the Wedding, covering ideas around elopements, micro weddings and creating new traditions. 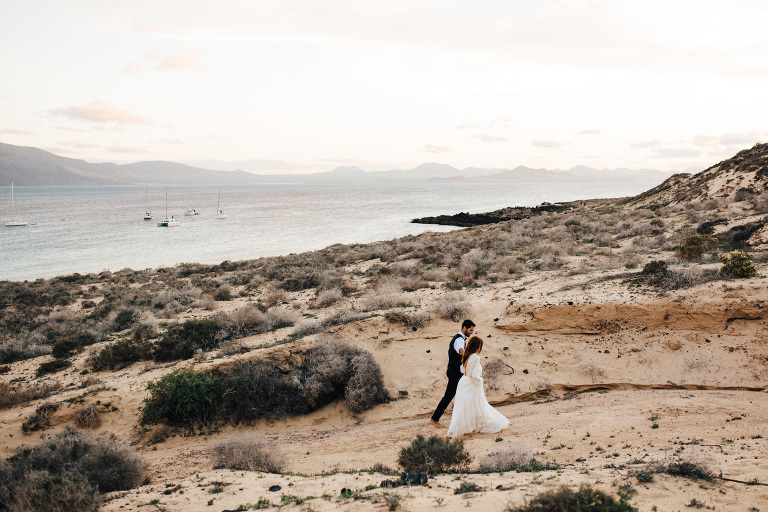 In the meantime, enjoy these photos of a Canary Islands Destination Elopement! 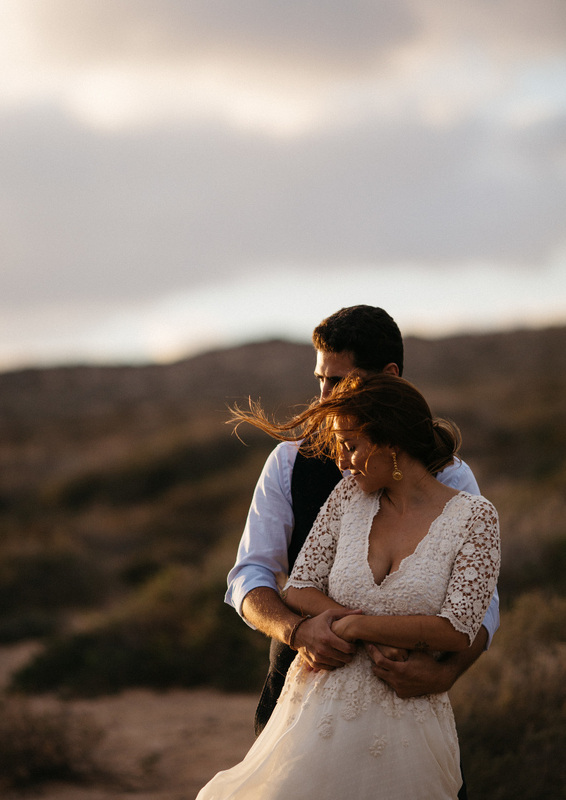 I’m a huge fanatic of wind, golden hour, brides running around freely and a wedding dress that suits it all. Not to mention, a dress with actual sleeves! I love how Aurelia Gil’s dresses are designed to flutter, flow and glow in such a lovely way. She knows how to make a free-spirited bride look and feel radiant. Here’s to a new era of bohemian wedding dresses! I love how Eva decided to style her hair in a loose bun that worked with the wind instead of against it. Movement is beautiful. 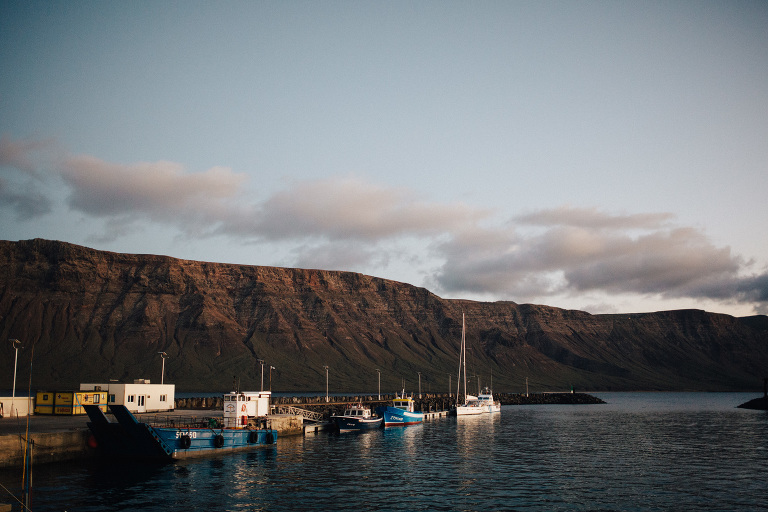 Want to see more destination elopement photography? Check out this one!